You are at:Home»Columns»Uncle DI»A review of the Malaysia Agreement, really? A review of the Malaysia Agreement, really? THE Special Cabinet Committee (SCC) has been formed to discuss the Malaysia Agreement 1963 (MA63). However, most of the ordinary Malaysians in the street are in the dark over the Committee’s terms of reference. They may well affect the people’s interests as stakeholders! And they would like to keep abreast with developments of the talks for better or for worse. So far, people who are keen to follow discussions on this important subject can only speculate on what actually the Committee wish to achieve. In such a situation, they are bound to be inquisitive. Can the views of the members of the committee be regarded as representative of the views of the whole population simply because they are elected legislators? In one sense, the Committee members represent their respective governments’ views only because the issue of MA63 was not specifically asked of the voters for their decision at the last GE14; nor was it a specific issue at the last State election. The members from Sarawak are talking about the rights of Sarawak as a state in the Federation, but beyond it, we don’t yet know. For instance, will they discuss the implementation of Article 153 of the Federal Constitution and/or Article 39 of the Sarawak Constitution? 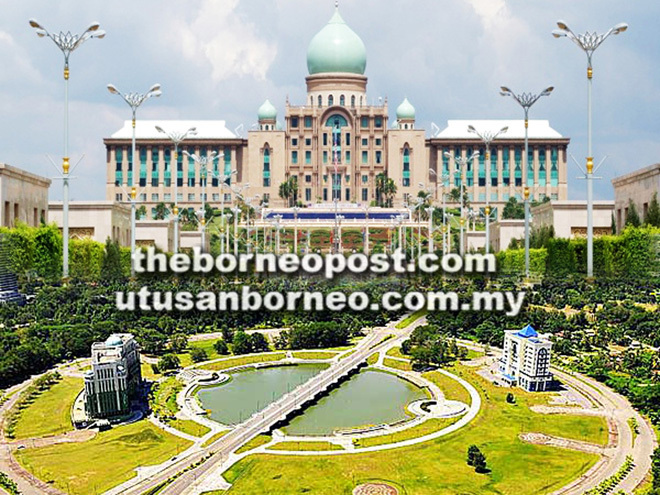 Both provisions are about reservation of quotas for Malays and the other Bumiputras of Sarawak in terms of positions in the civil service, scholarship, other educational facilities, exhibitions. These are important matters which have not been seriously discussed in Sarawak. The pertinent questions that members of the Special Cabinet Committee should find answers to are: why such a lopsided representation in the civil service, or inequitable distribution of educational opportunities among the various racial groupings of Bumiputras in Sarawak? If there is a review of the MA63 and related documents, will the Committee talk about the rights and interests of the Bumiputras in Sabah and Sarawak and the Orang Asli in West Malaysia as spelt out in the United Nations Declaration on the Rights of the Indigenous Peoples (UNDRIP) in respect of their “lands, territories and resources that they possess by reason of traditional ownership or other traditional occupation or use, as well as those which they have otherwise acquired”? I would be grateful if the members of the Committee from Sarawak would find answer to this question why the constitutional provision (Article 39 of the Sarawak Constitution)has not been fully applied in terms of reservation of quotas in the civil service, in scholarship awards and quotas in other educational facilities, business licences, exhibitions, for the other Bumiputras in the State for the past 55 years. It will be appreciated that when they come back from each meeting they will tell the other Natives in Sarawak what they have actually achieved for them out of the review of the MA63. Not just Sarawak rights under MA63 day in, day out. What about the rights of the Sarawakians as distinct from those of Sarawak as a state in the Federation? They are equally important, aren’t they? We are looking forward to seeing and enjoying the benefits of the review of MA63, if there is such a thing as a review of the Agreement at all. Needless to say that people of Sarawak want to retain certain powers over immigration, local government elections, certain educational matters, land rights, freedom of religion, to mention a few major concerns of the day. They want assurances that these are fully recognised, intact and unimpaired. The current exercise is different from the survey of opinion which was carried out by the Cobbold Commission in 1962. Then opinion on the Malaysia Plan was required as a basis for a decision to go ahead with the Federation of states or not. The job of this Cabinet Committee may be different but will clear all doubts about legislative responsibility of each government, assure of restoration of rights if such have ever been infringed and ensure that all rights are respected always. No more review of MA63 unless it is really necessary. It’s time to govern properly. While the Cabinet Committee are deliberating on the MA63 and related documents, many Malaysians are concerned with the unending spat between the state and the Federal governments over several issues that are basically political in nature, even though they involve who should come up with the money for school repairs, roads, bridges, salaries for Ketua Masyarakat, religious schools, etc. These issues are being compounded by irritating side issues that are being raised by several federal ministers: entry to Sarawak by West Malaysians and Sabahans; Native privileges in relation to the ratification of the International Convention on the Eradication of all forms of racial discrimination (ICERD). Even though the Federal Government was wise enough not to proceed with the rectification of ICERD, the problem is simmering, not totally extinguished. It may flare up again if not wisely handled by the Malaysians themselves. In the past, especially in the early years of Malaysia, the Federal Secretary based in Kuching was an important link between the state and the federal governments. The primary mission of the founding fathers of Malaysia was to make Malaysia work. Any problem of this nature was quickly solved by cool heads. Nowadays, my feeling is that not many people realise the importance of the office of the Federal Secretary. During my time in the civil service, especially in the early days of Malaysia, the link provided by the Federal Ministry of Sarawak Affairs and the Federal Secretary with the Sarawak Government was vital in maintaining good relations between the federal and the Sarawak governments. On this front, I see little open activity nowadays. Perhaps, the Federal Secretariat has served its purpose. I’m ketinggalan zaman (out of date). For instance, this state’s right to refuse entry to West Malaysians and others could well have been quietly handled with the advice from the Federal Secretary versed in the sensitivity of the issue. New federal ministers should consult the Fed Sec before making statements on issues sensitive to Sarawakians unless these are political statements intended solely to score political points. I trust I have made myself clear. The members of the committee that is looking into giving Sarawak and Sabah a fair deal know what the people expect, so please do your best. It’s the only Christmas/New Year/Chinese New Year present we will really, thankfully appreciate!